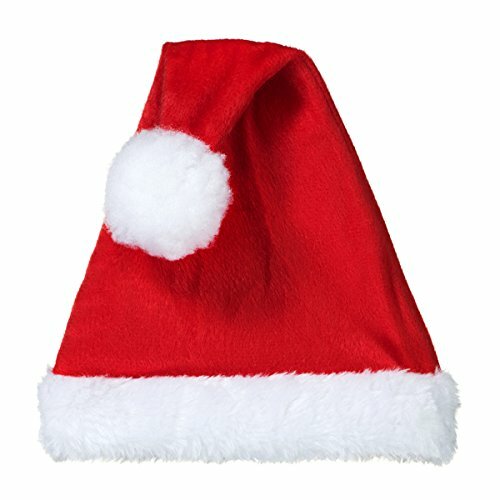 Spread Christmas cheer throughout your home with this Decorative Santa Hat. Great for adding that holiday touch, this small santa hat can be placed over frames, décor items, and dolls to turn any of your home items into seasonal displays. The Santa hat includes an elastic at the base and wire throughout the top for a secure fit that will stand perfectly upright. They fit most frames that measure 5" to 6" on the top. Hanging frames are not recommended unless there is sufficient space between the wall and the frame. SIZE: Each hat is 9" from the base to the ball and 7" when flat. Fits small and medium sized frames such as 5x7 sizes. Elastic gives ability to grasp smaller items, but only adds approximately 1/2" in size. If you have any questions about this product by Frame Toppers, contact us by completing and submitting the form below. If you are looking for a specif part number, please include it with your message.